Add Contempo to your favourites! Contempo clothing is specialised in catering for women's clothing of all types that includes the likes of casual wear, smart and wear, footwear and more. See the Contempo catelogue for special deals. Contempo has a large selection of women's fashion clothes that cater to all your needs and every area of fashion, whether you need casual, formal or comfortable sporting clothing. The Contempo clothing range features footwear (flats, kitten heels, high heels), casual wear (tops, bottoms, dresses), career wear (dresses, jackets, blouses, slacks, tops), corporate and accessories (bags, hats, scarves). Contempo dresses are a popular buy amongst all customers as they feature numerous designs and are great whether you simply need something summer and pretty, or need something formal or great for a cocktail. There are Contempo stores located across South Africa in major shopping malls like Contempo clothing Tygervalley, Contempo Menlyn and Contempo clothing East Rand Mall to name a few. If you're looking to enjoy great savings on your purchases at Contempo then have a look at the newest Contempo catalogue for information on specials. Contempo is focused on women's fashion for every occasion and catering for sizes 8 to 24. Since the company was established, it has been dedicated to bringing women a large selection of on-trend fashion featuring the "City Stretch" range, corporate, accessories and casual. There are several Contempo stores located throughout South Africa. Contempo has lots to offer when it comes to women's fashion that is tailored to all types of women's clothes and focuses on trendy wear and chic feminine fashion. With Contempo clothing you can shop for various accessories like handbags, scarves and hats as well as Contempo dresses that is suited to every occasion. Contempo casual clothing is great for comfort when you're simply running errands or visiting friends. The Contempo online website provides shoppers with great fashion advice and inspiration with the Contempo look book. 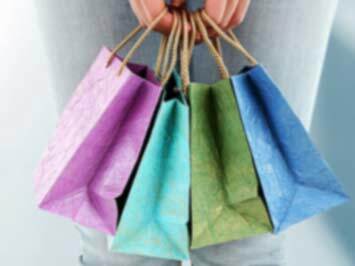 Shoppers can apply for a store account and enjoy convenient shopping throughout the year and convenient repayment options per month, confirmed Contempo accounts receive a complementary R700 worth of fashion vouchers. For great deals and specials to save on your next purchase why not have a look at the latest Contempo catalogue. Do you want to receive more Contempo deals by email?